Someone asked me who the Old Mermaids were and what was an Old Mermaid Sanctuary. 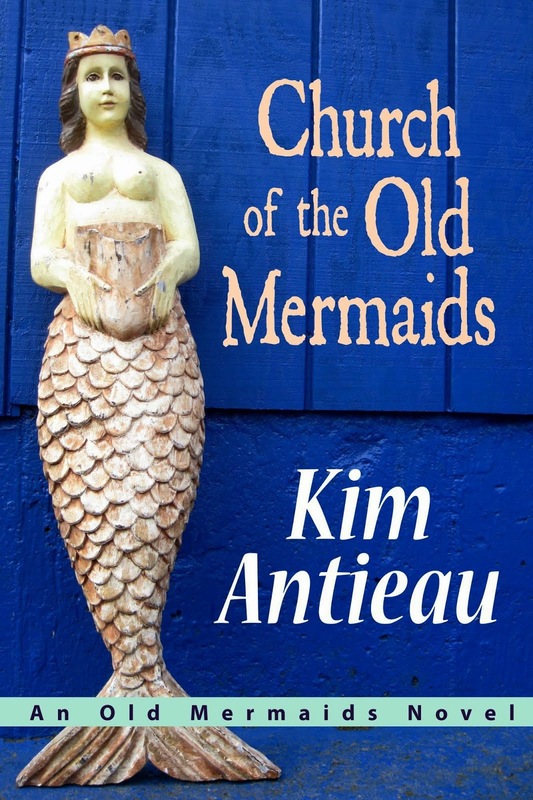 I wanted to hand her a copy of Church of the Old Mermaids (COTOM), but since I can't do that yet, I said, "Well, the Old Mermaids lived in the Old Sea until it dried up and then they had to make their way in a world that was new and alien to them—and they did it with love and beauty." In COTOM, Myla Alvarez says “that the mermaids had not dried up when the sea did; they merely changed their attitudes. And maybe their skin- and fin-ware." The Old Mermaids washed up in the desert, and they fashioned their home out of the dirt and water they found there, with permission from the land and the flora and fauna they now lived amongst. They shaped their home and lives with compassion and deep love. Despite being in a new world that sometimes frightened and overwhelmed them—despite their longing for the Old Sea—they lived full and creative lives. And oh the beauty they created—and found! The Old Mermaids loved found art. Many of us feel as though we have washed up on alien shores because we no longer live in our places of birth, or because we feel out of sync in our communities, or because we are not living in a place where we can discern beauty. The word ‘sanctuary’ comes from the Latin ‘sanctus’ which means holy. ‘Holy’ comes from the word ‘whole.’ A sanctuary is a place where we are whole and holy, it is where we mend ourselves and the world until all is whole and holy. Creating an Old Mermaid Sanctuary is not about consumption or knowing about fine art. It's certainly not about what our mainstream culture has declared beautiful or popular. When I think of the Old Mermaids and the Old Mermaid Sanctuary, I think of wabi-sabi, that wonderful Japanese aesthetic. Originally the words meant poverty and isolation, but like the Old Mermaids, the words transformed—or their meanings did—so that now wabi-sabi is more about living a simple life while recognizing the beauty of imperfection. That chipped vase you think is beautiful is an example of wabi-sabi. Another example of wabi-sabi is the old window I got from a demolished house and made into a frame for O'Keeffe's Blue River (see photos in this post). In COTOM, Myla threw out the garbage she picked up as she walked the wash and she took the trash to sell at the Church of the Old Mermaids. Once the trash had a story about the Old Mermaids, it became treasure. In his book Wabi-Sabi for Artists, Designers, Poets & Philosophers, Leonard Koren wrote, "Wabi-Sabi is a beauty of things imperfect, impermanent, and incomplete. It is a beauty of things modest and humble. 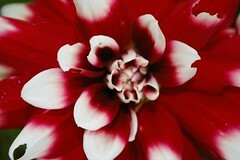 It is a beauty of things unconventional." The Old Mermaids created beauty and saw beauty all around. Their home was a work of art, cobbled together from what they found in the desert. Isn’t that how most of us create our lives, cobbled from what we can find? Myla Alvarez—who tells stories of the Old Mermaids in COTOM—is the caretaker of five homes. She calls this place the Old Mermaid Sanctuary. When she finds migrants in the desert who are in need, she helps them out by bringing them to the Old Mermaid Sanctuary for a respite. The Old Mermaids lived in their Old Mermaid Sanctuary as part of community. Life was not always harmonious, of course, but they solved problems creatively. When Mr. Hunter kept mistaking the Old Mermaids for deer or mountain lions in his quest for food, Sister Lyra Musica Mermaid knocked on his door and said, "Do I look like a deer?" 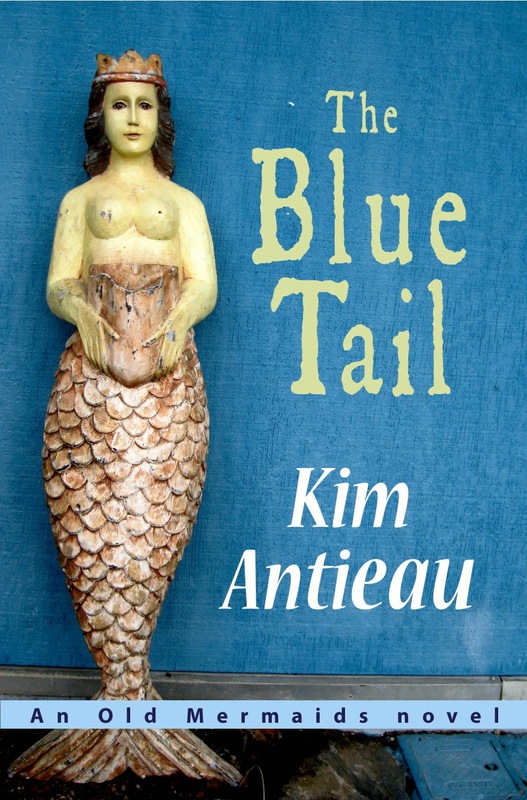 Then she brought him to the Old Mermaid Sanctuary and fed him—in exchange for work he did at the Old Mermaid Sanctuary. Sandra Ingerman says it is not what we do that changes the world but who we are. Even though the Old Mermaids had to leave their home—just as Myla Alvarez had to leave hers—they each decided who they were and how they would live their lives. I would like to see Old Mermaid Sanctuaries everywhere. They already exist in some places. In other places, we need to rearrange things a bit so they can come into existence—or so they can truly be seen, like wiping film off of an old window. Old Mermaid Sanctuaries are places where we care for ourselves and each other. Old Mermaid Sanctuaries are places where the sun comes up and the sun goes down. Old Mermaid Sanctuaries are places where the heart opens and love flows in and out. Old Mermaid Sanctuaries are places where cynicism does not exist. Old Mermaid Sanctuaries are places where compassion is a verb. Old Mermaid Sanctuaries are places where you and I live. What is an Old Mermaid Sanctuary to you? I want to see Old Mermaid Sanctuaries everywhere—and I would like to create a gorgeous Old Mermaid Sanctuaries book, complete with photos and stories of your Old Mermaid Sanctuary places—be it a dresser top, a room, a yard, a spot in the forest, a workplace, a home. I hope you'll want to participate in this project. So much about life is out of our control, but some things we can do. We can create—and we can find and create beauty in our lives. We can chose to be our true selves, in spite of what is happening around us. We can walk, swim, breathe, dance, and love in beauty. I'm so glad you started this blog. And I love this explanation of who the Old Mermaids are and what an Old Mermaid Sanctuary is. I had not heard the term wabi-sabi before, so I am glad to know it. I'll take some photos of my OM Sanctuary once I'm feeling better. May we heal in beauty! I love this description, too, and can't wait to read the book! I'll have to give some thought to my own OM Sanctuary, but when I've created it, I'll send a photo. Thank you, Jaspenelle. It is my intention to make this place in the web ether a santuary. Thanks, Sara. I feel the same way about the Old Mermaids. And thanks for reading my books. I love that!